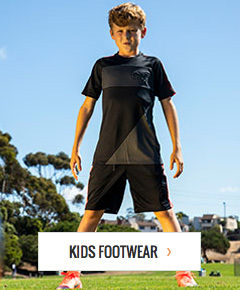 As the leading online soccer store, soccerloco offers the best selection of youth soccer gear for goalies at the best prices online. Regardless of if you are looking for youth soccer goalie jerseys or goalkeeper gloves, we offer a wide variety goalie equipment options at various price points so that you can find the right kids goalie jerseys and gloves for you and your young soccer player. In addition to the best selection and prices, we also offer hassle free returns and low cost, flat rate shipping on all orders to make buying online as easy as possible. Browse our wide selection of youth goalie gear to take your young soccer player’s game to the next level.